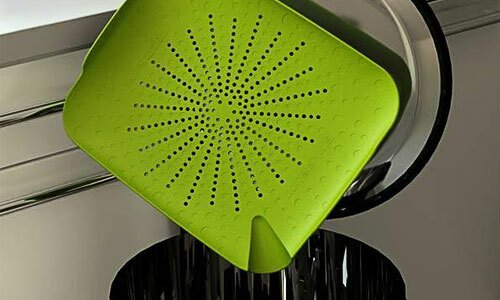 Sinkstation is a revolutionary flat colander that can be used in or out of the sink. 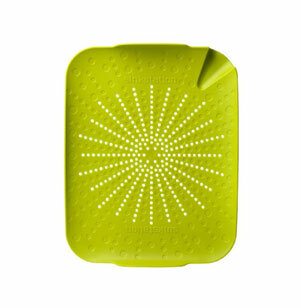 Its design makes it ideal for a variety of kitchen prep needs. 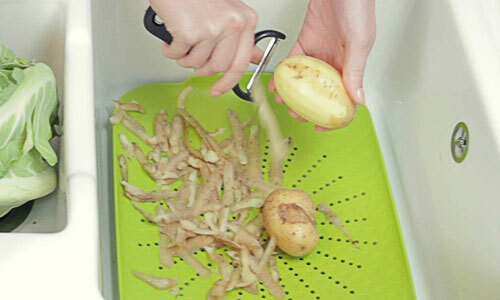 Catch peelings, wash and prepare foods, sweep and catch worktop waste, and transfer peelings to your waste bin, easily, with this flat colander. Made of FDA approved food-safe polypropylene and is 100-percent recyclable. 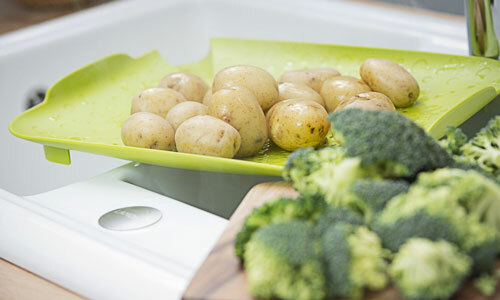 It's suitable for use under boiling water and is dishwasher safe.